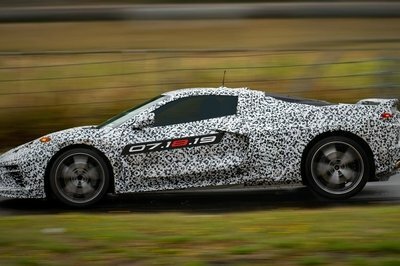 Call it a coincidence if you will but I was just writing earlier today about the upcoming, and now official, Corvette C8. The subject at hand was a new render of the rear end that looked more down-to-Earth than all the other that came before it. I kicked off the article by saying that the C8 is, maybe, "the most highly anticipated American car in the past couple of decades if not more." This is why today’s announcement in which, finally, GM acknowledges the model’s existence and, on top of that, gives us a release date is particularly important. The announcement was made at the Siller Foundation charity gala in New York, an event that honors the firefighters and first responders killed in the terrorist attack on the World Trade Center on September 11th, 2001, by none other than GM CEO Mary Barra who then hopped onboard a C8 test mule for a spin. 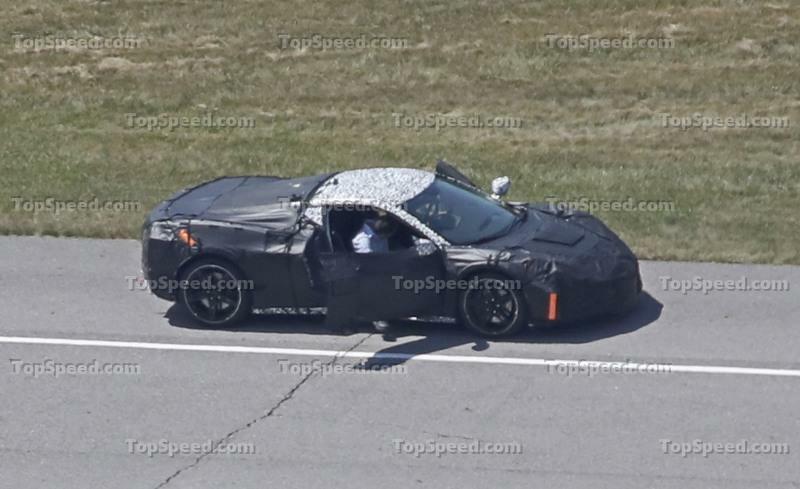 The car, displaying on its still-camouflaged body the impending release date, 07.18.19, was driven around downtown New York by Corvette Chief Engineer Tadge Juechter. As you’d expect, the appearance of this spaceship-like machine on the busy streets of New York caused quite a stir, but Chevrolet insists in the first batch of officially released images that what you see is a ’camouflaged pre-production model" and that the "actual production model may vary." Also, it says that "availability is to be announced at a later date," but we know it will become available before year’s end as a 2020 model year car. What we don’t know is if this standalone event will be organized under the roof of the National Corvette Museum in Bowling Green, Kentucky that’ll be celebrating its 25th anniversary this summer. The other article I wrote today on the C8 lent me the opportunity to go once more over the key things we think we know about the Corvette and why it didn’t show up at the 2019 Detroit Auto Show as we all would’ve expected. The delay came as a result of some major electrical issues that appeared because the system was apparently undersized and Chevrolet then went for the new Global B electrical system that allows for air-to-air updates of the car’s systems. But adopting this new platform wasn’t an easy job, and this is in the context of other problems arising at the same time. For instance, we heard that the aluminum underpinnings were bent by the massive amounts of power produced by the top-of-the-line LT8 V-8, so much that some mules suffered either broken engine cover glass or taillight cover glass as a result of all the flexing. GM plugged a supercomputer in to address the issue and, since we have a release date now, all seems to be going according to plan again. While Chevrolet did make everything official, there was no mention of any specifications or prices. Car & Driver reckons the base model will start at around $62,000 and that it will receive an improved 6.2-liter, naturally aspirated, pushrod V-8 like on the C7 putting out some 500 horsepower. 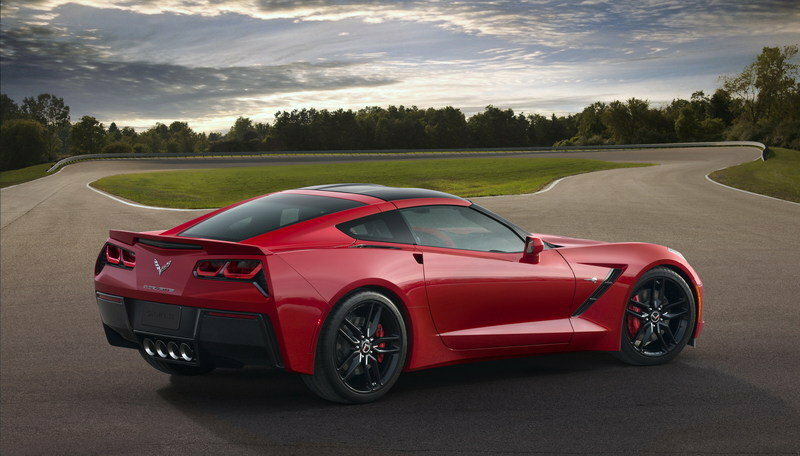 Currently, the LT1 V-8 in what will soon become the final front-engined Corvette (at least for a generation, that is) produces 455 horsepower and 460 pound-feet which translates to a 0-to-60 mph time of just 3.9 seconds. In the C8, the engine will also get a new name - LT2. 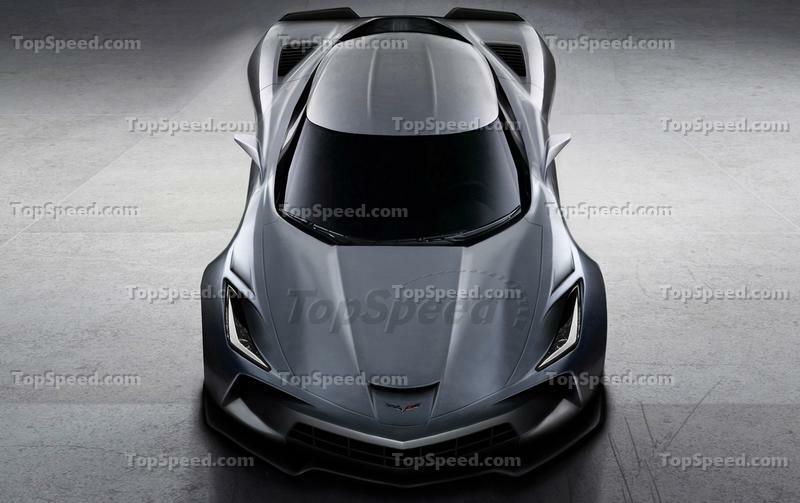 Further down the line, everyone says that Chevrolet will bring to the table a plethora of high-performance C8s ranging from the Z06, the ZR1, and even a ludicrous hybrid version with more power under its hood than two standard C7s combined. "The current thinking is that the Z06 will have a DOHC, 5.5-liter V-8 with a flat-plane crankshaft, while the ZR1 will add two turbochargers to that engine". 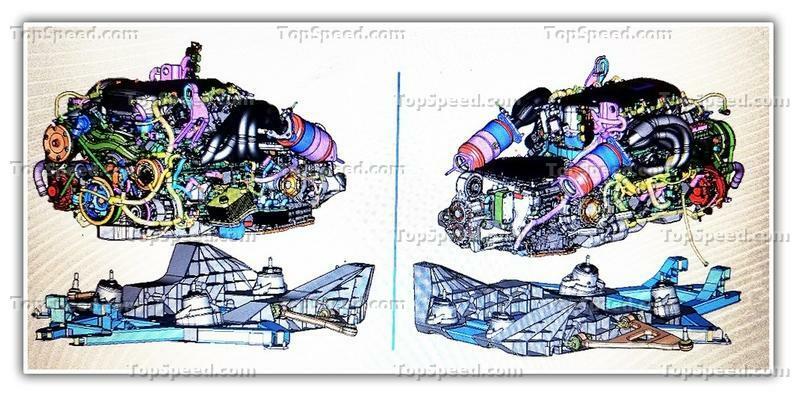 The flat-plane-crank, DOHC V-8 will probably be named LT7, and it will produce over 600 horsepower while the turbocharged ZR1 is said to make more than 850 horsepower. That’s why some say that the hybridized version (that may or may not be called ’Zora’) will debut with a combined output of 1,000 horsepower - as much as a Bugatti Veyron. The LaFerrari-esque hybrid may feature front-mounted electric motors placed in the luggage compartment for better weight distribution. Also, it will be insanely quick to 60 mph if, indeed, the electric motors will send the power to the front axle - but also insanely expensive with six-digit price tags rumored for a ZR1. 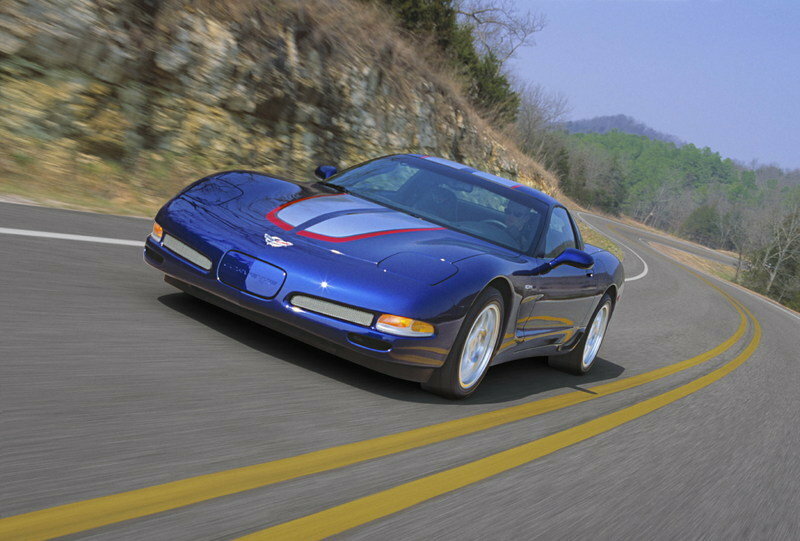 Did you ever think we’ll ever write of the distinct possibility of a stock Corvette making as much power as the car that was the fastest production vehicle money could buy merely 15 years ago? I, for one, did not and if you would’ve told me back then that the Corvette could potentially reach such heights, I would’ve asked you about your medication. Now, if the fact that the Corvette C8 will have the engine behind the cabin isn’t enough to irk cohorts of die-hard fans of ’America’s Sportscar’ then what do you say about the lack of a manual? The only available transmission when the car will debut will be a Tremec-sourced eight-speed automatic that could be a distant relative to the 918’s (and the 992 911’s) gearboxes. But, considering what we’ve seen of the interior, will you care all that much that you won’t be able to play with the stick and the third pedal anymore? Amid such a gigantic wave of change, I think this move feels natural. In the end, my hope is that all the hype surrounding the C8 won’t die out as fast as the car is tipped to take to reach 60 mph. 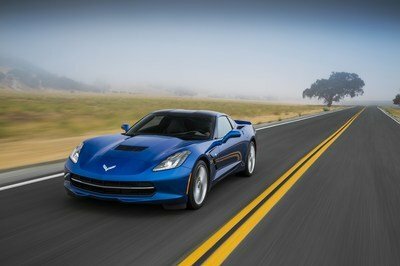 Currently, dealers are slashing prices of the C7 to try and kick them out the door as fast as possible because of the impending arrival of a new fortunate son - the culmination of the development done through all the other seven generations of the Corvette over a period of over six and a half decades. I’m sure we’ll bend our brains quite a bit in the ensuing three months trying to picture how the grand unveiling of the C8 will be. It may be of the heritage-oriented kind where the car would be circled by its older brothers (like in the case of the A90 Supra), but GM could go above and beyond and come up with a state-of-the-art production for such a landmark moment in the history of Chevrolet. You’re probably already looking at clues to find out the answers to the questions I’ve posed above and, frankly, I am too because I don’t have the answers. As a result - and because I’m a bit of an automotive history buff - I looked back at how Chevy presented to the world the previous seven generations of the Corvette to give you a broad idea of what the C8’s launch has to surpass. The first Corvette was unveiled at the GM Motorama show in New York (held at the Waldorf Astoria Hotel) on January 17, 1953. There, first got to see prototype EX-122, a car that closely resembled the final production version that would be built at the truck factory in Flint, Michigan merely six months later. 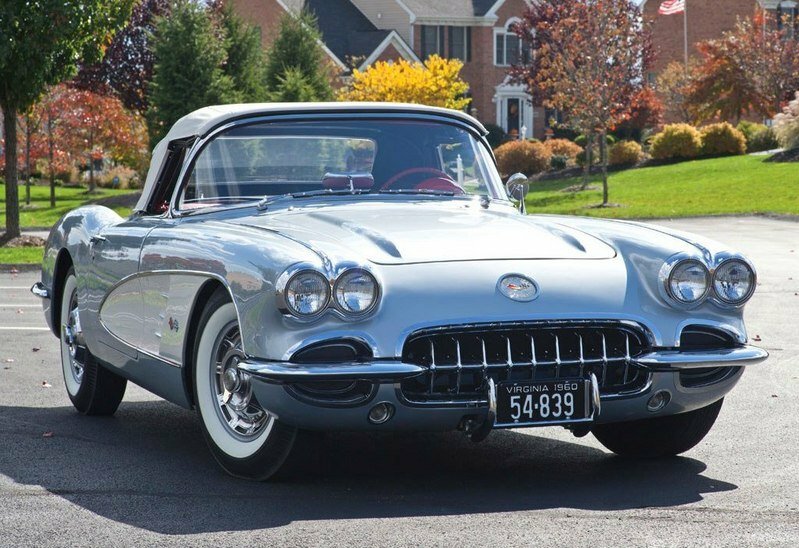 All 300 1953 Corvettes were painted in Polo White over red leather upholstery and sported a black soft top. No American sports car before the Corvette tried so hard to be European, but this was about to change by the time the Corvette C2 arrived as the brand started to carve its own path. 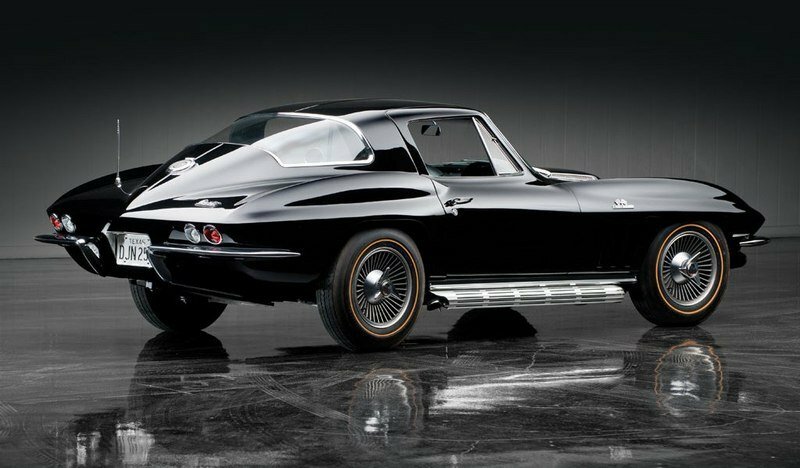 The C2 was introduced in 1963 in Detroit, and it pioneered the Sting Ray (then Stingray) moniker. 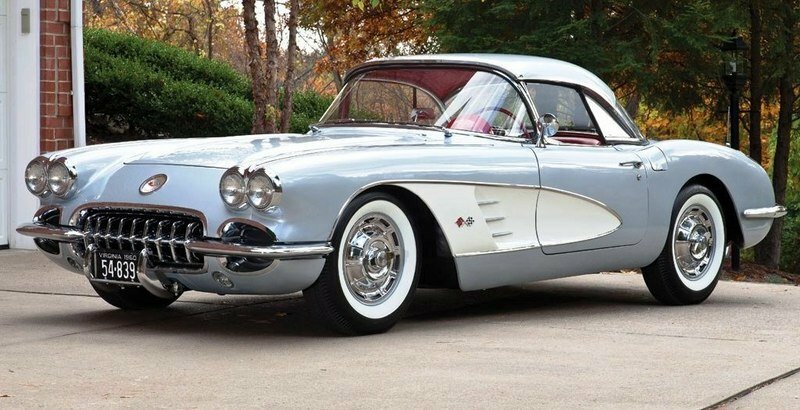 It was also the first ’Vette with pop-up headlights as designer Larry Shinoda was heavily inspired by the 1959 Corvette Sting Ray Racer, an open top SCCA-compliant sports prototype penned by Bill Mitchell. After just five short years, the Stingray’s design language was refined and made more aggressive with the C3 generation that hit the market with the innovative T-Top (Targa Top) roof. 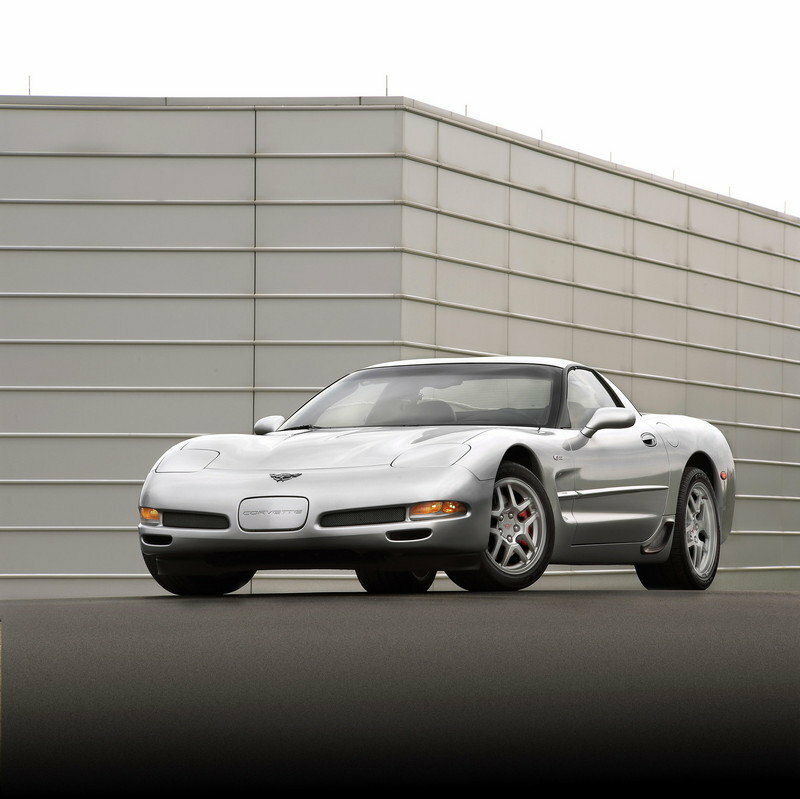 The C3 remains the longest-surviving Corvette generation as the C4 was delayed because GM pondered long and hard on whether a successful product like the C3 should be updated or not. 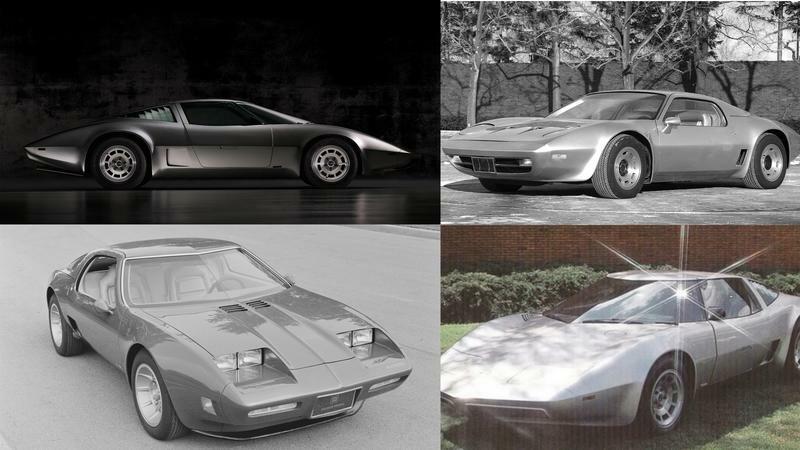 The development of the C4 started in earnest only in 1978 after it was decided that the midship Aerovette will not become a reality. Then, the finished product arrived in 1984 and was hailed as "the most advanced production car on the planet." Well, actually, it was unveiled in Detroit in 1983, but all cars produced in late ’83 were 1984 model year cars which means GM missed the opportunity to celebrate the 30th anniversary of its halo car with the introduction of a new generation. As was the case of the C2, the C4 was a giant stylistic leap forwards in comparison to what came before it, and it could have been the last. 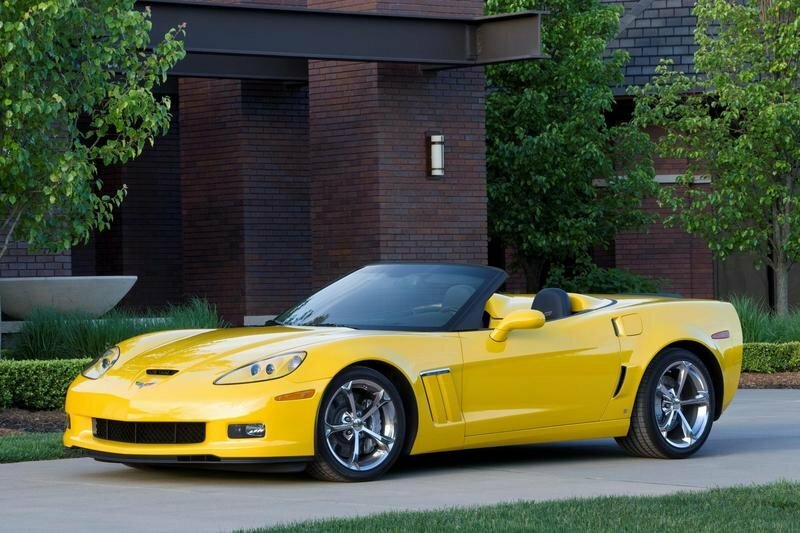 Due to the tough financial climate in the late ’80s and into the ’90s, GM’s top brass thought it would be best to cancel the Corvette altogether. 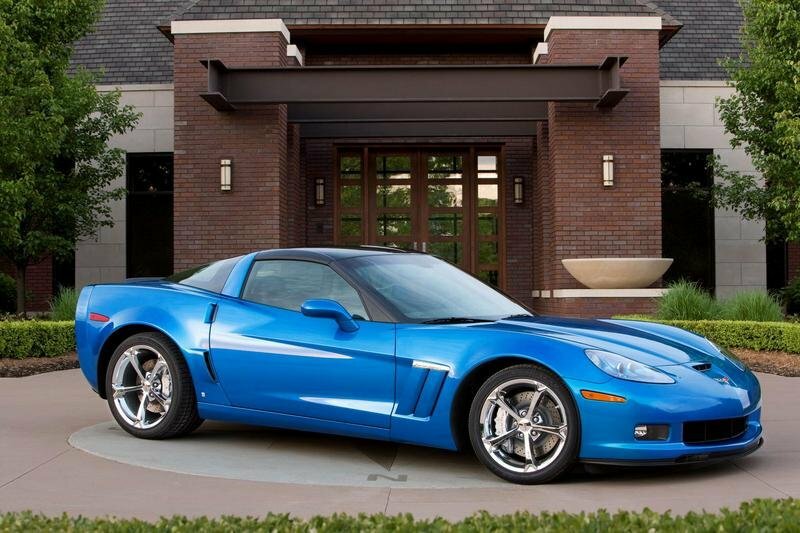 According to Corvsport.com, "the John Cafaro-penned C5 Corvette was not simply a re-design of the existing C4 Corvette, but a completely new design from the ground up. 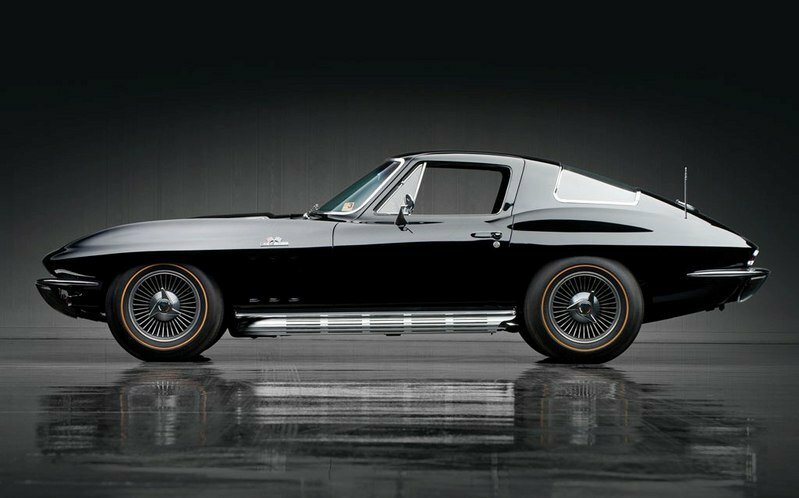 It was the first truly unique Corvette since the C1 Corvette was designed in 1953." This was one of the reasons (besides the power struggle within GM between the faction that wanted the Corvette to be terminated and those that wanted it to keep going) why the car was delayed a number of times. In May of 1989, the launch date was slated to be in 1994, but it was pushed out to 1995 just three months later. It finally arrived in 1996 and was unveiled officially at the North American International Auto Show on January 6, 1997, along with this launch clip. The C6 marked a natural evolution of the design language launched with the C4, and it was the first to feature fixed headlights since the C1 generation. It was unveiled during a standalone event at the Detroit Opera House before the doors opened for the 2004 Detroit Auto Show. The actual event itself was lackluster with one guitarist jamming sans friends for about 20 minutes in front of a giant screen. After that, key people of the Corvette program got up on stage and talked about the car which, finally, rolled on stage. The red example was parked in front of that same screen on which images of past Corvettes were projected. Nothing too clever. 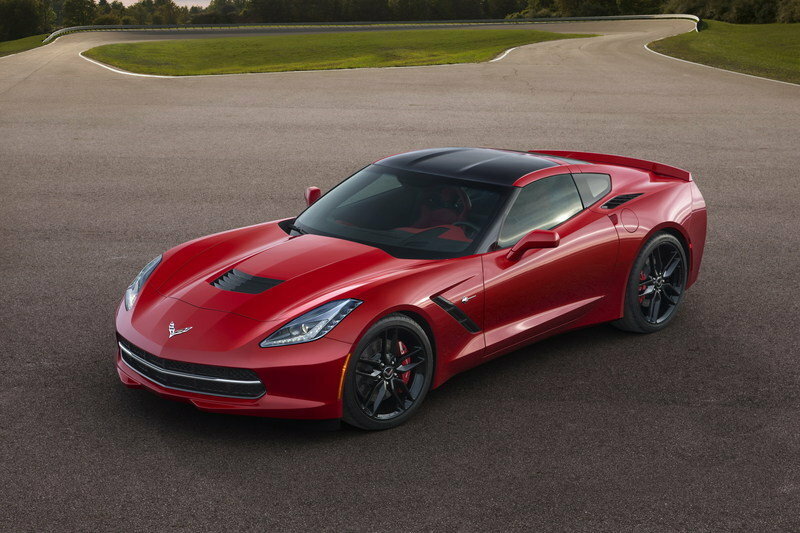 Finally, the C7 Corvette was the first to benefit from a live launch event on January 13, 2013. Those on site had their ears full of Lenny Kravitz’s guitar chops before they actually got to see the car that sat below an enormous screen positioned at an angle. It was definitely more high-tech but, in the end, it had to be as nine years had passed since the introduction of the C6. Let’s wait and see what kind of experience GM and Chevrolet are cooking for us six years down the line!